Meet our Food Service Director! Colin Harvey joined ISS Education in November 2016 to head up our Food Development Team. Originally from Malta, Colin now lives in Essex with his wife Dawn with whom he has three children. 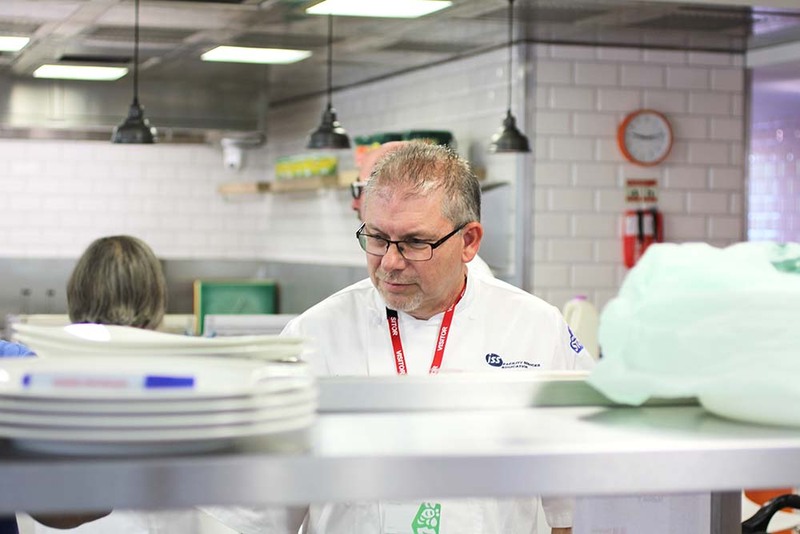 Having started his career working in hospitality & chef management, he made the move to education catering in 1994. We caught up with him to find out why he’s still passionate about school meals after more than 22 years. What motivated you to get involved in school meals? I have a real passion for food and eating well. A healthy balanced diet is crucial in leading a full life. I have always cooked from fresh and so my family knows no different, however not all families do the same and so if we can influence young people’s eating habits as early as possible, at some point in the future we should see more healthy young adults. 20 years ago school meals were in a very different place. 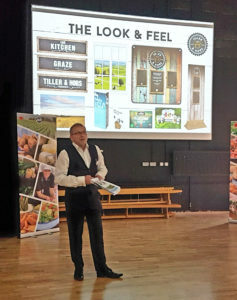 I would like to think that I have played a part in moving school meals to where they are now – balanced, freshly prepared and tasty, and I hope that I have influenced the lives of many children. For me the message is clear and simple; good food cooked well! Part of my role is to communicate that to pupils in a fun way so that they learn too. The school lunch hour should be the 9th lesson of the day! Why do you think school meals are great? We work with a vast team of people to ensure that for 20 minutes at lunch time pupils eat a healthy meal. The process starts with the sourcing of great quality produce and then feeds through to nutritionists, chefs, managers, kitchen teams and then the child that enjoys the end product. It’s not just a ‘school meal’ it’s a huge responsibility for all involved and I’m very proud to play my part in it! I admire Michel Roux Jnr for his amazing chef skills and techniques but also James Martin, his passion for simple good home cooked food inspires many to give something a go. And finally, what is your favourite school meal? Makhani chicken, made to a recipe that my team developed from raw ingredients and which won ISS Education Chef of the Year in 2016, or classic sausage with creamy mash and vegetables!